May help maintain respiratory health. Has a soothing effect on the digestive system. Legend has it that yarrow's unique virtues were discovered by Achilles. 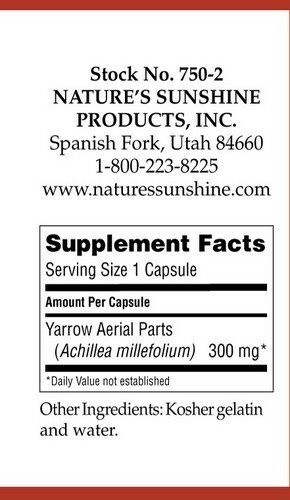 Yarrow contains an alkaloid principle called achilleine, as well as flavonoids, volatile oils, potassium and calcium salts of organic acids, and tannins. 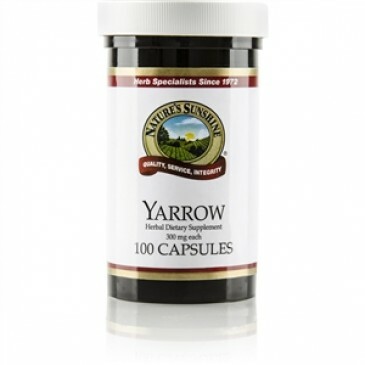 Its effects are mostly astringent, which make yarrow helpful for firming and tightening tissues. 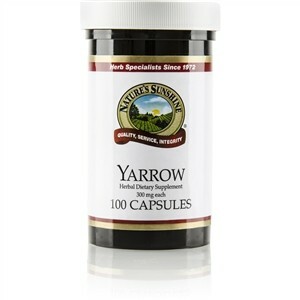 Yarrow nutritionally supports the mucous membranes and has a soothing effect on the digestive system. It is closely related to chamomile, both botanically and chemically.